I recently attended the 10th Annual FDA and Changing Paradigm for HCT/P Regulation Conference, with my colleague Wendy Wangsgard, Department Scientist, Bioburden. We presented topics of interest that have surfaced the validation realm, in addition to learning updates from the FDA. At this conference, the FDA presented new R&D data on new developing assays, news on current and retired tissue establishments, and important events that occurred during the last year within the tissue industry. These updates include reviews of tissue products, recalls and information on how to prepare a response to recalls. My presentation focused on cleaning validations on equipment and supplies used for tissue processing. This included when validations are needed and why it is important to perform even if the FDA does not require these validations at this time. When a new process is introduced: It is necessary to validate new processes to ensure the procedure is adequate for cleaning and sterilizing. When there is a change to the process: Changes to the process can include steps of the process, a change of disinfectants/detergents, and new equipment. Validations are necessary to ensure the process is effective and all equipment and supplies are free of contaminants after the cleaning process. Validating also ensures consistent process capability, meaning each time a device is cleaned, you know it is consistently cleaned to the required and safe level. Cleaning validations are important, even when not required, to ensure safety through cleanliness. 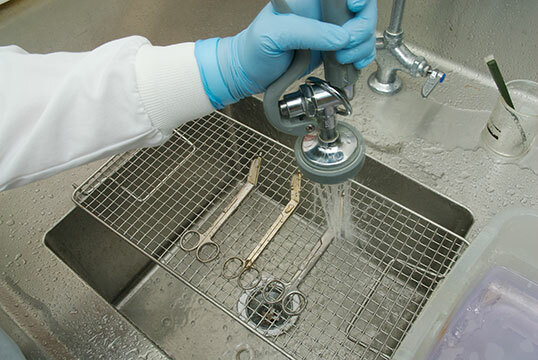 Validating the cleaning, disinfection and sterilization processes lowers the risk of cross-contamination between donors since the tissue-processing equipment and supplies that are used between donors are clean and sterile. Validations for sterilization and cleaning, while not always required but are extremely important for manufacturers to consider. Validations are one more step that helps ensure the safety of the reusable equipment and supplies used to process donors every day.